Malaysia's unemployment rate held steady in May, figures from the Department of Statistics showed Monday. The jobless rate came in at 3.3 percent in May, the same rate as in April. 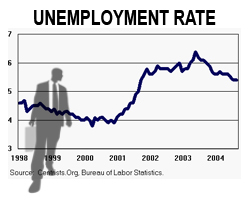 In the corresponding month last year, the unemployment rate was 3.4 percent. There were 507,000 unemployed people in May compared with 504,800 a year earlier. The labor force participation rate edged up to 68.4 percent in May from 68.2 percent in April. 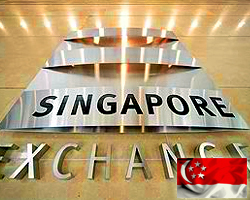 Singapore's non-oil domestic exports increased at a slower-than-expected pace in June, data from the International Enterprise Singapore showed Tuesday. 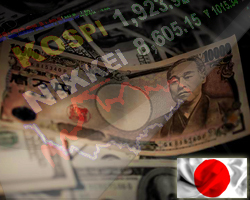 NODX rose 1.1 percent year-over-year in June, much slower than the 15.5 percent surge in May. That was also well below the 7.8 percent growth economists had forecast. Meanwhile, exports of electronic products decreased 7.9 percent annually in June, following a 7.8 percent decline in the previous month. Non-electronic NODX expanded 4.6 percent yearly in June after a 26.2 percent spike a month ago. Malaysia's consumer price inflation eased at a faster-than-expected pace in June to the lowest level in more than three years, following the withdrawal of the GST, figures from the Department of Statistics showed Wednesday. Consumer prices rose 0.8 percent year-over-year in June, slower than the 1.8 percent increase in May. 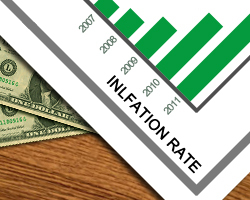 Economists had expected the inflation to moderate to 1.3 percent. For the first time within 40 months, the consumer price index recorded a value below 1.0 percent in June. The abolishment of the GST by the government and discounts and price control measures during the Aidilfitri celebrations had a remarkable impact on goods prices, the agency said. On a monthly basis, consumer prices dropped 1.2 percent in June. The jobless rate in Australia came in at a seasonally adjusted 5.4 percent in June, the Australian Bureau of Statistics said on Thursday. The Australian economy added 50,900 jobs last month to 12,573,600 - shattering expectations for an increase of 16,500 following the addition of 12,000 in May. Full-time employment increased 41,200 to 8,565,200 and part-time employment increased 9,700 to 4,008,400. 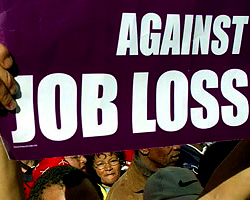 Unemployment decreased 1,100 to 714,100. The number of unemployed persons looking for full-time work increased 5,100 to 501,900 and the number of unemployed persons only looking for part-time work decreased 6,100 to 212,200. The participation rate ticked up to 65.7 percent, exceeding expectations for 65.5 percent - which would have been unchanged. Monthly hours worked in all jobs increased 10.7 million hours (0.6%) to 1,750.7 million hours. Year-on-year growth in trend employment was above the 20 year average in all states and territories except for Victoria and Western Australia. 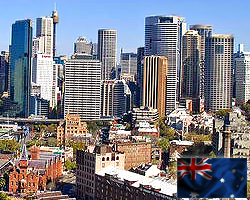 Over the past year, the states and territories with the strongest annual growth in trend employment were New South Wales (3.7 percent), Australian Capital Territory (2.9 percent) and Queensland (2.6 percent). Japan's all industry activity grew only marginally in May after recovering in April, data from the Ministry of Economy, Trade and Industry showed Friday. The all industry activity index gained 0.1 percent on month, much slower than April's 1 percent rebound. Nonetheless, the monthly rate was better than the expected nil growth. Data showed that construction activity growth eased to 0.7 percent from 2.4 percent. At the same time, industrial production dropped 0.2 percent, reversing a 0.5 percent rise in April. 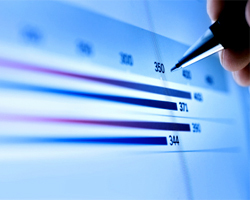 The tertiary industry activity edged up 0.1 percent after climbing 1 percent a month ago. Meanwhile, on a yearly basis, all industry activity growth accelerated to 1.6 percent from 1.4 percent in the previous month. 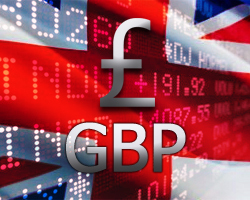 British households' finance outlook turned positive for the first time since March 2016, while their financial pressures softened in July, results of a survey by IHS Markit and financial information provider Ipsos Mori revealed Monday. The seasonally adjusted Household Finance Index, or HFI, rose to 44.6 in July from 43.6 in June. However, a score below 50 suggests pessimism regrading finances among the U.K. households. The index measuring the outlook for financial well-being over the next twelve months, climbed to 51.3 in July from 48.2 in the previous month. A continued solid increase in income from employment and softer inflationary pressures combined to help ease the perceived strain on current finances. On the price front, inflation expectations eased to a 19-month low in July, indicating that UK households forsee a softer squeeze from inflationary pressures over the next year. "Nonetheless, households shifted their interest rate rise expectations towards the near-term, with around half of respondents anticipating a Bank of England rate rise before the end of the year," Sam Teague, Economist at IHS Markit, said. 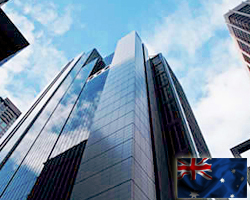 Australia's consumer confidence weakened during the week ended July 22, a weekly survey compiled by the ANZ bank and Roy Morgan Research showed Tuesday. The consumer confidence index dropped to 118.9 from 121.5 in the preceding week. Moreover, this was the lowest value in seven months. "The decline in confidence was primarily driven by a weakening in sentiment around current and future economic conditions," ANZ's head of Australian Economics, David Plank, said. "This likely reflects ongoing geopolitical tensions, such as the extending of trade tensions beyond the US and China." Consumer prices in Australia were up 0.4 percent on quarter in the second three months of 2018, the Australian Bureau of Statistics said on Wednesday. That was shy of expectations for an increase of 0.5 percent but unchanged from the Q1 reading. On a yearly basis, inflation rose 2.1 percent - beneath expectations for 2.2 percent and up from 1.9 percent in the three months prior. The trimmed mean was up 0.5 percent on quarter and 1.9 percent on year - both as expected and unchanged from the previous three months. The weighted median was up 0.5 percent on quarter, unchanged and as expected. It was also up 1.9 percent on year, matching forecasts and down from 2.1 percent in Q1. 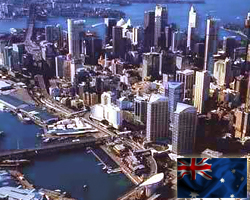 Australia's import prices increased at a faster-than-expected pace in the three months ended June, figures from the Australian Bureau of Statistics showed Thursday. The import price index climbed 3.2 percent sequentially in the second quarter, faster than the 2.0 percent rise in the first quarter. It was the third consecutive quarterly increase. That was above the 1.9 percent rise economists had forecast. The increase was driven by higher prices paid for petroleum, petroleum products and related materials, general industrial machinery, electrical machinery, apparatus and appliances. On a yearly basis, imports prices grew at a faster rate of 6.0 percent in the June quarter, after a 2.6 percent gain in the March quarter. Data also revealed that export prices grew 1.9 percent quarterly and by 6.6 percent yearly in the June quarter. The one-day interbank deposit futures rates (DI rates) in Brazil ended mixed Thursday. While the shorter maturities closed stable in an adjustment movement, the longer ones rose, tracking the locally traded U.S. dollar appreciation against the Brazilian real. "The shorter DIs did not keep up with the dollar and were relatively well-behaved, even though they made maximums throughout the session. The perception is that the dollar's rise is much more technical, an adjustment, than a perception of improvement in the assets," said H.Commcor operator Cleber Alessie. Alessie stressed that longer maturities have risen in line with the U.S. currency. "It was a day of profit-taking," he pondered. The January 2019 DI contract rate closed stable at 6.625%, while the January 2020 DI rate was at 7.91%, from 7.93% in the previous settlement. The January 2021 DI contract rate settled at 8.94%, from 8.93%.